The Alley Theatre pushes forward in its current 2017-2018 season with the Opening Night of Satchmo at the Waldorf, written and directed by Terry Teachout. Nearly 200 Alley Theatre CenterStage donors and guests attended the Opening Night dinner prior to the show at the Alley Theatre. 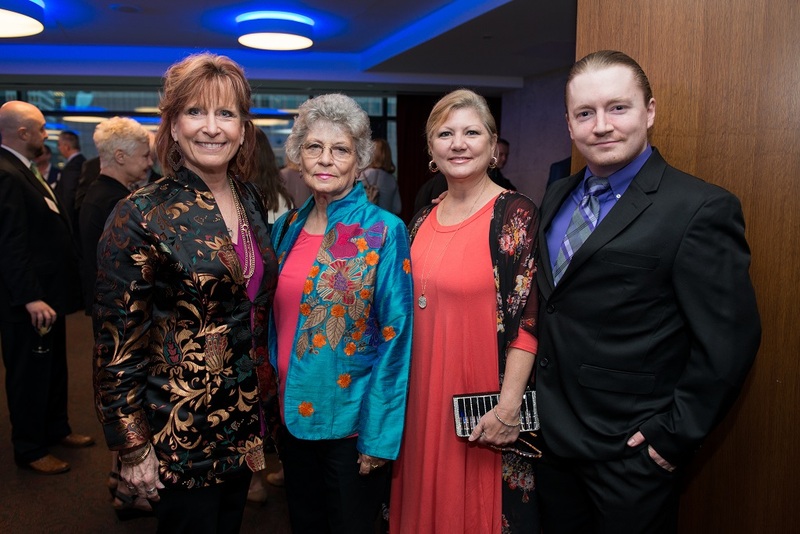 Among the guests who joined the celebration were playwright and director, Terry Teachout, Interim Artistic Director James Black, Board President Butch Mach, Margaret Alkek Williams, and Lynn Wyatt. The elegant seated dinner, catered by City Kitchen, featured a scrumptious Chicken Oscar with fresh lump crabmeat, Waldorf Chicken Salad, Red Beans and Rice pilaf, biscuits, and a delicious Key Lime Pie. Alley Theatre Managing Director Dean Gladden welcomed the guests to the Opening Night celebration and shared his enthusiasm and appreciation for the continued support of the Theatre. Director Terry Teachout praised the Alley staff and celebrated their wonderful collaboration on this production. Following the play, guests were treated to a champagne toast by Dean and Terry in the open-spaced Zilkha Skyline Lounge, where everyone mingled with the star, actor Jerome Preston Bates (Broadways’ Jitney, Stick Fly) , who demonstrated a moving portrait of Louis Armstrong that looks into the mind of an American musical genius and the man behind the legend.